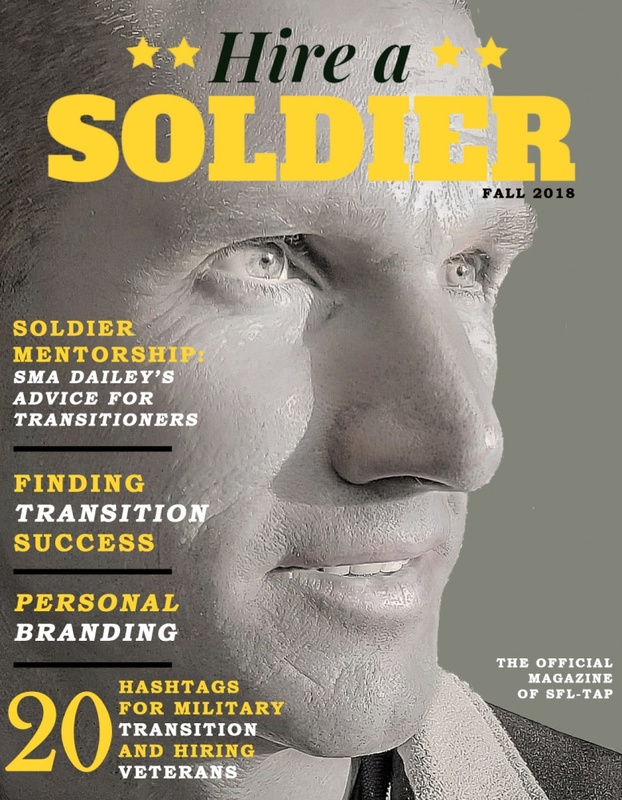 NOVEMBER 29, 2018 – The Soldier for Life – Transition Assistance Program (SFL-TAP) launched its first edition of a new Army magazine called Hire a Soldier on Nov. 29. 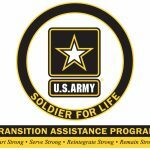 The online publication features advice, tips, and stories for transitioning Soldiers who are planning for life after Army service. The first edition features Sgt. Maj. of the Army Daniel Dailey and his advice for transitioning Soldiers. “At the end of the day, transition is a process and it’s something every Soldier will go through. We all must transition at some point and from every rank in the Army. 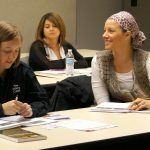 There are a lot of resources out there and starting early is key to properly preparing.” Dailey said. 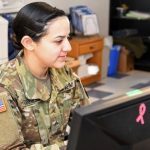 The magazine answers some of the most common questions from Soldiers, including personal branding, soft skills and translation, reenlistment, job search references, hiring event tips, and more. It can be read by visiting https://go.usa.gov/xP6SW. 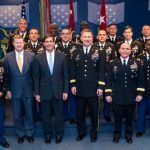 Hire a Soldier originally began as a hashtag campaign launched in summer 2017 by SFL-TAP. 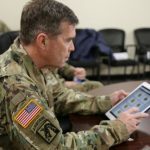 The hashtag went viral on Twitter, resulting in Soldiers finding interview opportunities with potential employers. Since that time, transitioning Soldiers, Veterans, and hiring managers have used #HireaSoldier to tag job openings and their advice or tips for military transition. 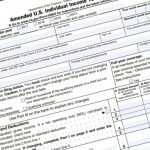 The SFL-TAP Hire a Soldier Magazine can be found at https://go.usa.gov/xP6SW. Learn more by searching #HireaSoldier on social media and by visiting Facebook (@ArmySFLTAP), Twitter (@SFLTAP), and LinkedIn (www.linkedin.com/groups/7063275).